**Note: The former Y.M.C.A. building is next door to the Library Restaurant (and former Midland Library). 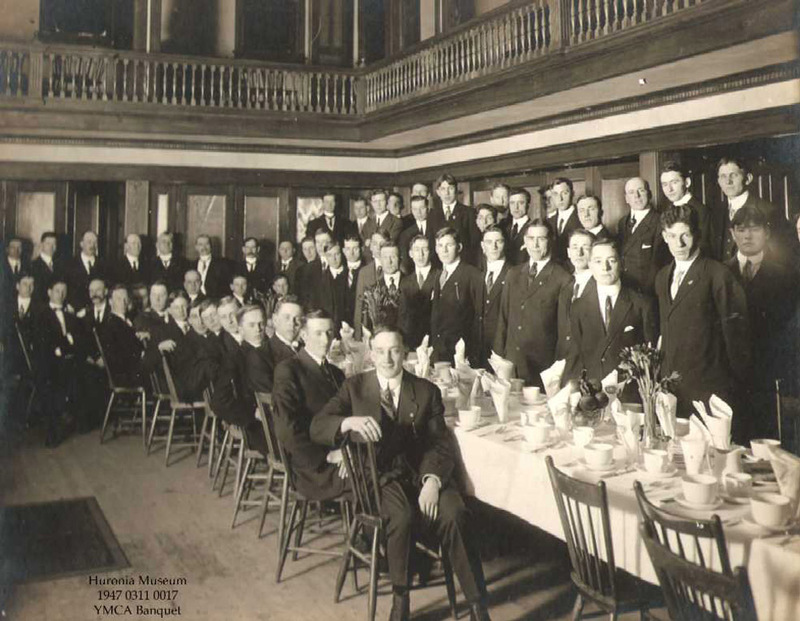 Founded in 1900, the Midland chapter of the Young Men’s Christian Association was first housed in two small rooms of the Ingram block on King Street. Becoming more popular, D.L. 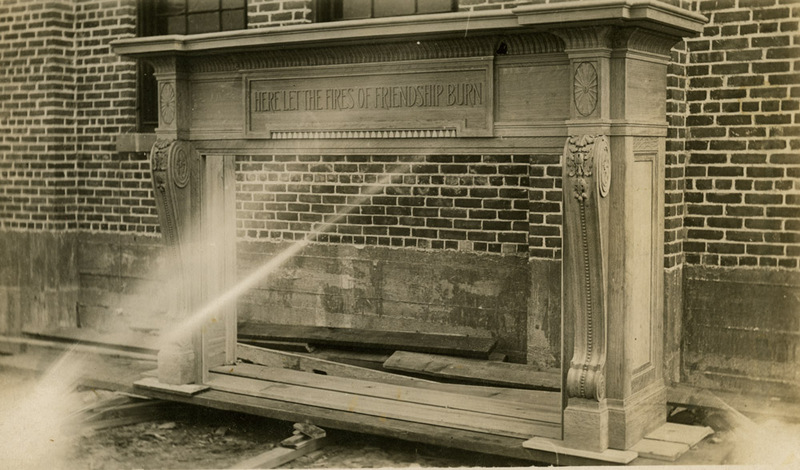 White challenged the community to match his $28,000 pledge to open this new building in 1929. The building housed a gymnasium, reading room, rooms for members, and a parlour for use by members, all in the philosophy of caring for mind, spirit and body. 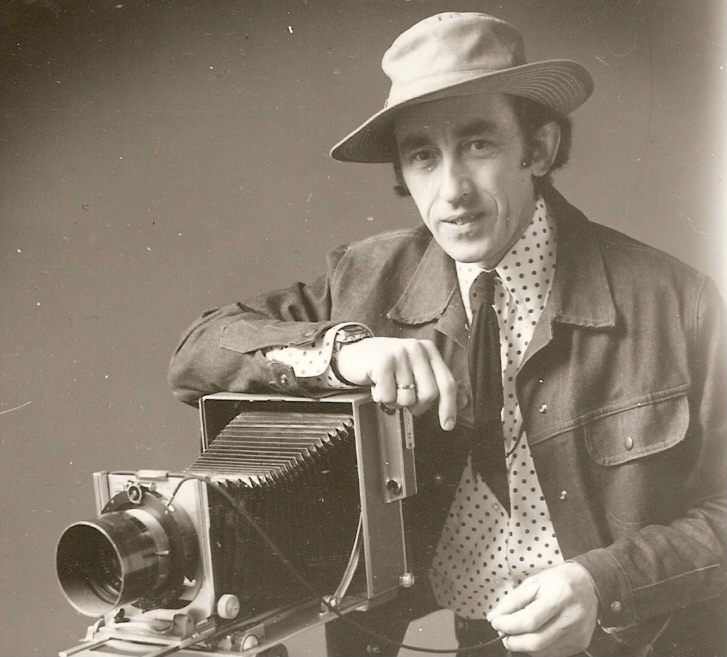 In 1980 the building was bought by Budd Watson, an internationally known local photographer who opened what was the largest privately owned gallery in North America, to display his signature photographs. Y.M.C.A. group photo, date unknown. Y.M.C.A. 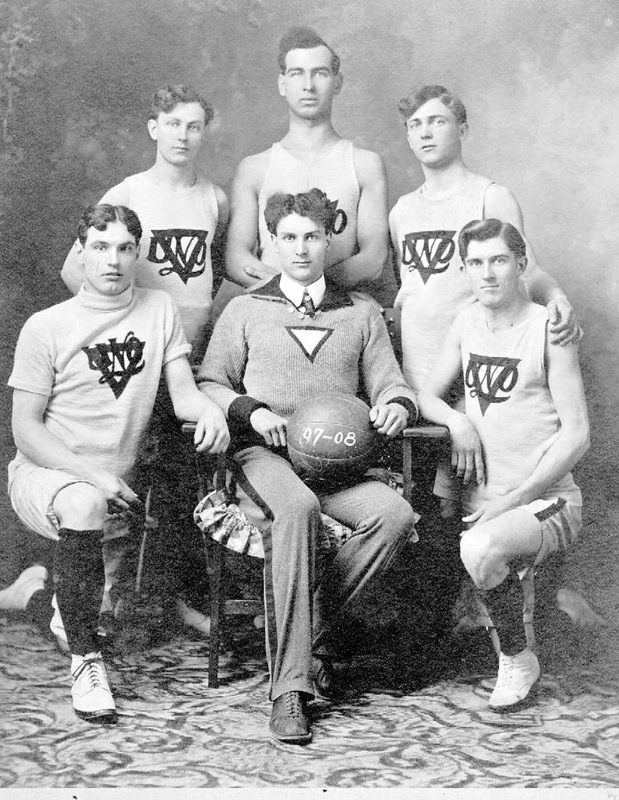 Basketball team C. 1908. Kids of the Y.M.C.A., date unknown. The Y.M.C.A. 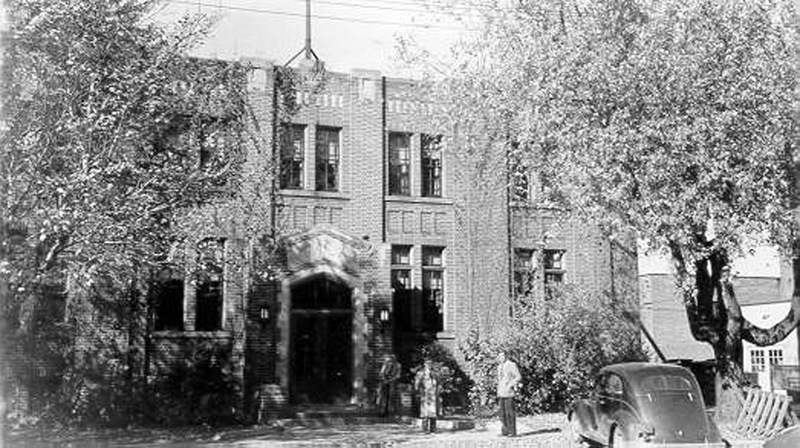 building, C. 1940. Mantlepiece, C. 1900, made by the Midland Y.M.C.A. for the Central Y.M.C.A. on College street in Toronto. Budd Watson, world recognized as a Master Photographer, started his own gallery here to showcase his signature large landscapes. 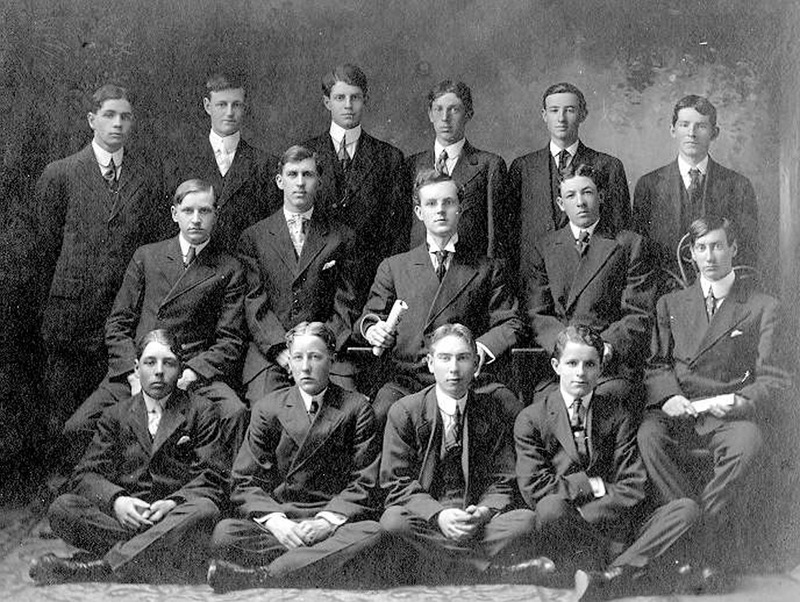 Group Photo of the Midland Y.M.C.A., c.unknown. 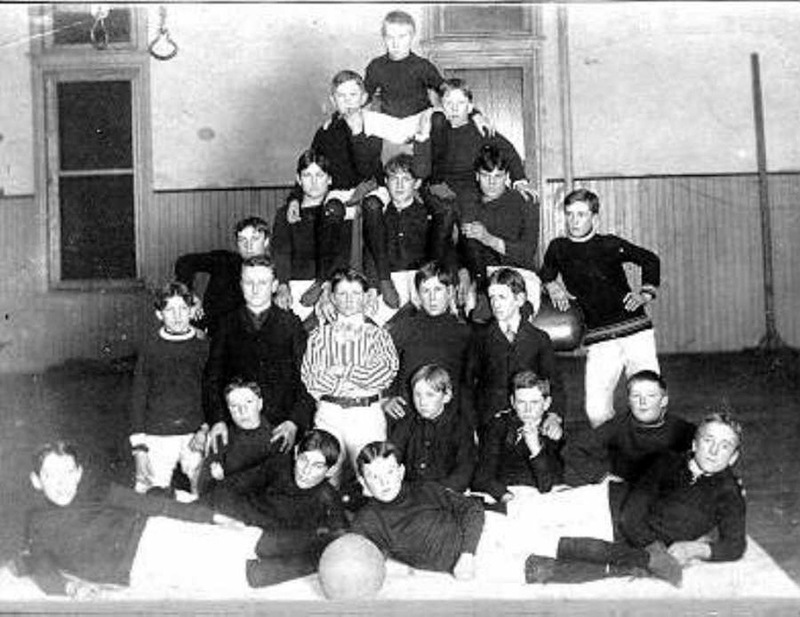 In the bottom group photo seated on the bench, second from left, it looks like Frank Powell. In the row behind that, eighth from left is Johnny Bridges. Frank Powell is sitting front two, second from left. Joe Setterington sitting front left on the floor. 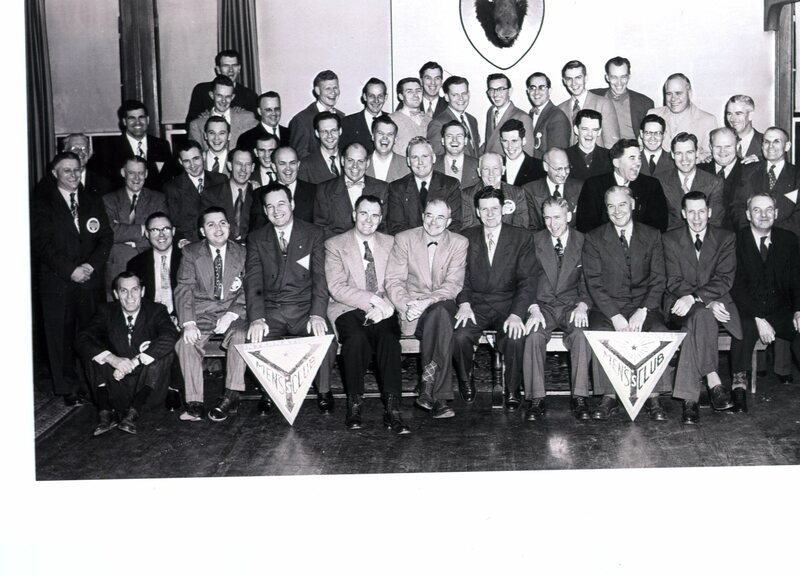 Clark Edwards is 10th from left, second row, facing slightly to the right, laughing hysterically. Make that Clarke Edwards; he was Treasurer go the Midland Music Festival held in the “Y” on Hugel Ave. for many years. The photo is almost certainly early 1950s.